Your home has two separate plumbing systems running through it. The first brings fresh water into your house. As it is pressurized, the water can reach every floor and every corner of the building. Concurrently, wastewater is removed from your house through the drainage system. The latter is comprised of three elements - drain, waste and vent - and is therefore also referred to as the DWV system. Apart from the downward tilting pipes which carry the wastewater away from your house, vents protruding from the roof admit air into the drainpipes, thereby ensuring the proper flow of wastewater. An additional feature known as trap, which is the curved section of the drainpipe attached to every fixture, prevents sewer gases and unpleasant odors from permeating your house. Operating simultaneously, these features allow your plumbing system to function properly and efficiently. Sinks, tubs, faucets, toilets and showers are all examples of home fixtures. Whereas pipes carry fresh water to all fixtures, drain pipes remove wastewater away from them. 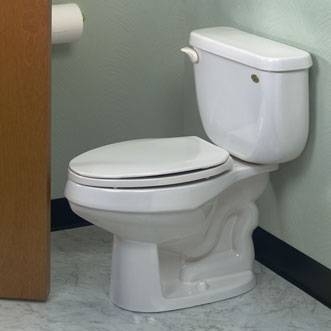 While each fixture presents its own particular plumbing problems, depending on its structure and function, it is important to remember that in case of a leak or a pipe break in any of the fixtures, you should first check whether there's a shutoff valve next to the fixture itself, and then turn it off. To avoid fixture related problems, consult with us about regular plumbing maintenance of each of the fixtures or of any other home appliances which require regular water.